Role: Volunteers work on achieving the goals set out in the Care Management Plan, including running educational games and group activities, providing emotional support, and helping improve hygiene practices. 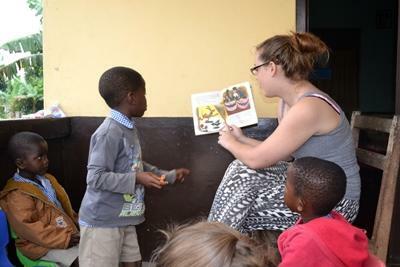 Ghana is a fantastic place to spend time volunteering abroad with children in day care centres. Ghana in West Africa is a country of rich natural resources and ancient traditions. However, an ever-growing disparity between rich and poor has resulted in a large percentage of the population still living in poverty. Poor health and sanitation have contributed to the low life expectancy and high infant mortality rates. Problems such as violent methods of discipline, child labour, and poor education means that childhood in Ghana can be a struggle, which is why our volunteer Care Projects are so important. 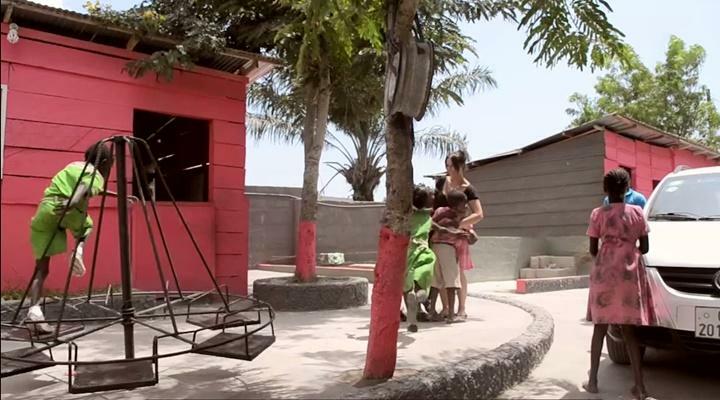 We have various volunteer options for you in Ghana, working in a daycare centre. Most of the placements are based in Akuapem Hills, but there are also Care placements available in Cape Coast and Accra. Volunteers can work with HIV and AIDS patients on our challenging HIV/AIDS Project as well. Volunteers are also needed at larger state-run care centres, smaller care centres, and day care centres in Ghana. These centres are primarily for the children of working parents who cannot take care of them during the day. The centres keep the children safe and off the streets during the day, as well as giving the children a chance to develop early social skills. The children in day care centres are young and volunteers are encouraged to play learning games and sing songs with the children. Day care centres often struggle with the limited resources and staff available to care for the children. Extra sets of hands can be extremely valuable to assist the caregivers in their duties and organize daily activities with the children including basic learning (numeracy and literacy) along with early childhood development and hygiene awareness activities. While we have placements at centres specifically for mentally and physically disabled children, you may also find that there are some children with disabilities in the centres and other care placements sites as well. It is in the role of spending time with the children, playing with them, and putting smiles on their faces that Projects Abroad volunteers are most valuable. Whether you are helping older children with school homework, or playing a game with the younger ones, you will be an important part in their development. Any extra interests or skills that you have can be put to good use, so please let our local staff know about them when you apply. The Projects Abroad team in Ghana organize regular workshops for our Care volunteers in all regions. The workshops provide valuable insight into the local care system, the background of the placements where our volunteers are working, and advice and suggestions regarding activities to organize. The workshops may also cover topics like Ghanaian culture, your role at the placement, and useful resources. During school terms, the majority of children at care centres attend school during the day. Most volunteers choose to accompany the children and help out at the school or kindergarten during these hours, assisting the teachers with basic numeracy and literacy education. If you are happy to get your hands dirty it may also be possible to stay at on site and assist the staff with cleaning and general house duties while the older children are at school, however the level of interaction with the children will be less if you do this. 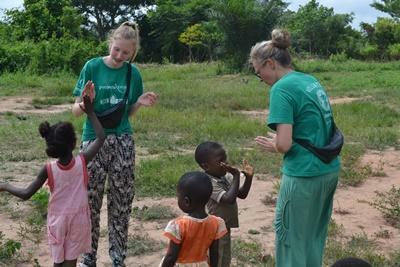 Over the years, our volunteers have worked with children at orphanages and residential care homes in Ghana. They have done incredible work at these placements, improving living conditions there and creating opportunities for children by supporting their education and care. However, we have decided to move our focus away from orphanages and homes toward community and family-based care. This is because we believe stable family environments are best for the children we work with. Read more about orphanage volunteering and our position on it. This means that instead of volunteering in orphanages in Ghana, volunteers will work in placements like day care centres, kindergartens and schools, or support groups for the elderly and mothers and babies. This will help Projects Abroad build stronger relationships with local communities and – most importantly – help families stay together and flourish. This project is available for less than a month if you don't have time to join us for a month or more. This project has been selected by our local colleagues as being suitable for shorter durations for both the host community and the volunteer. Although you will gain valuable cultural insight and work intensely within the local community please be aware that you may not be able to make the same impact as someone participating for a longer period. Volunteers who can only join us for one week will be based in the Akuapem Hills at one of our Care placements there, with the option of also joining the Building Project for one or two mornings during the week. If you would like to get more involved with projects in local Ghanaian communities, you should also look into our exciting Building Project, Farming & Agriculture Project, and Community Sports Project. If you have completed at least one year of studies in social work, psychology, or a related field, you also have the option of working at a special needs school where it is possible to take on a social work focus. Here, you will be supervised by a local social worker. If you have qualifications or experience in this field then we can make use of your skills volunteering abroad as a professional in Ghana. If you are a high school student and first-time traveller you may want to consider our High School Special programs in Ghana.